Ahead of tonight’s historic G1 Supercard show a contract signing took place for the IWGP World Championship match, which will be one of the main events. Jay White will put his title on the line as he goes one on one with Kazuchika Okada, and the two men put pen to paper for the match yesterday. Okada kicked off the signing by stating that whilst ther eis a lot of wrestling happening this week, he wants to prove to America that NJPW is the absolute best. He said he plans on making sure that their match doesn’t lose out to the ROH World Championship match. (Jay Lethal defends against Marty Scurll and Matt Taven in a ladder match). 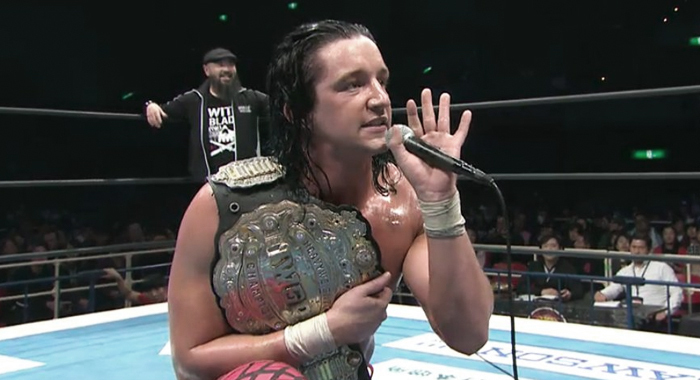 Jay White also spoke at the signing, saying he doesn’t understand why people expect Okada is going to win as hes beaten him two times already. White said that Okada is getting soft and cares too much about the fans and Shibata, which is why he is easy to beat. ProWrestling.com will have live coverage of tonight’s G1 Supercard.